I made a promise, some months ago, to do more yoga & meditation. I began with good intentions but very quickly life issues, poor health & a busy work schedule, put a real dampener on my efforts. Its daft really, at a time when I’m losing control of my left side (my neuro-receptors are on strike), the one thing that will help me is to keep active and learn to use my body – instead I have been all too keen to bury myself away beneath my duvet. Yesterday I did the first video and loved every minute of it! Firstly, its refreshing that the videos are filmed with a woman that is not a horrendously toned, flexible and fit yoga goddess who eats only naturally fallen nuts and fruit and spends weekends at intense bikram yoga classes. Okay, so I’m stereotyping to the extreme here but I often watch yoga videos and think to myself, ‘I’m never going to be that woman so why try?’ Amazing women as they are, they are too perfect, too far into their yoga journal for me to relate to. Instead, Donna films the videos with The Ginger Pear, a curvy and jolly girl willing to show us all how it’s done, or at times not done! This makes the videos relatable as, occasionally, The Ginger Pear wobbles or needs to readjust to hold a position – just as I do. 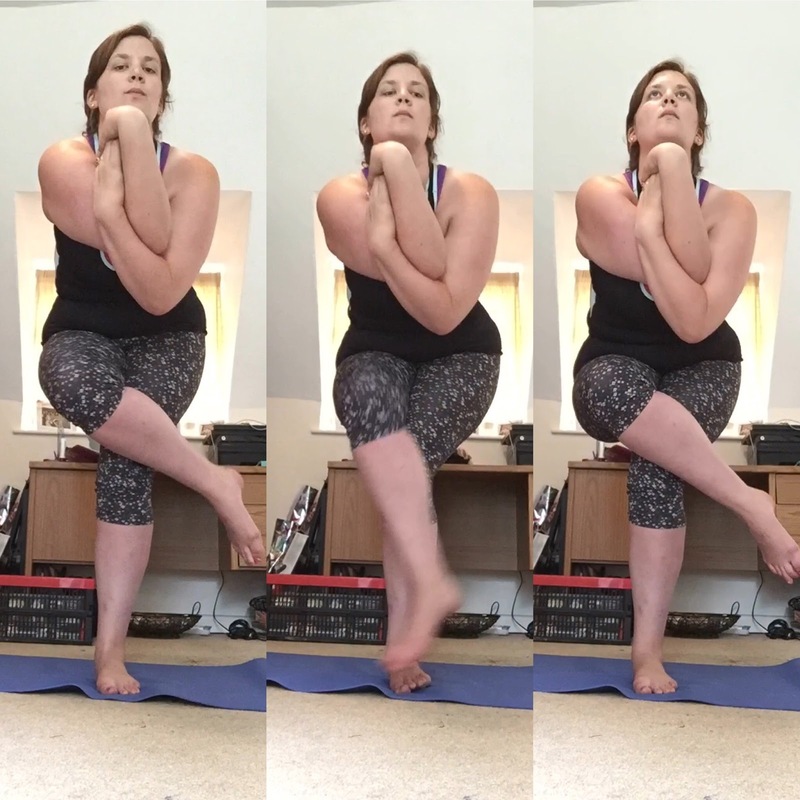 I also love that Donna takes time to explain the poses as well as suggest modifications if you feel you are stretching too far or putting unnecessary pressure on yourself. She advocates taking a break if you get tired and the use of straps (substituted by a towel in the first video) and yoga blocks to ease your body gradually into the kind of flexibility needed for yoga. Ultimately, Donna encourages you to focus on your own journey, your own capabilities and your own progress. There is no pressure to be perfect straight away, cause realistically who is? 1) It is okay to fall! I stumbled a few times, balance doesn’t come easily to me with the problems with my head so stumbling is something I’m use to. I found spotting, focusing on a fixed point in the room (like a dancer does when twirling) really helps prevent the whole ‘timber’ scenario! 2) It’s okay to stretch yourself! I spend a lot of time doing scissors, in the hope that one day I will have abs! Because of this, some of the movements I found relatively easy so was able to stretch myself a bit more. Lifting my legs higher than shown in the video or holding the pose for just a second or two longer. It’s about your own body and what it’s capable of – just don’t ever over do it! 3) It’s also okay not to stretch yourself! 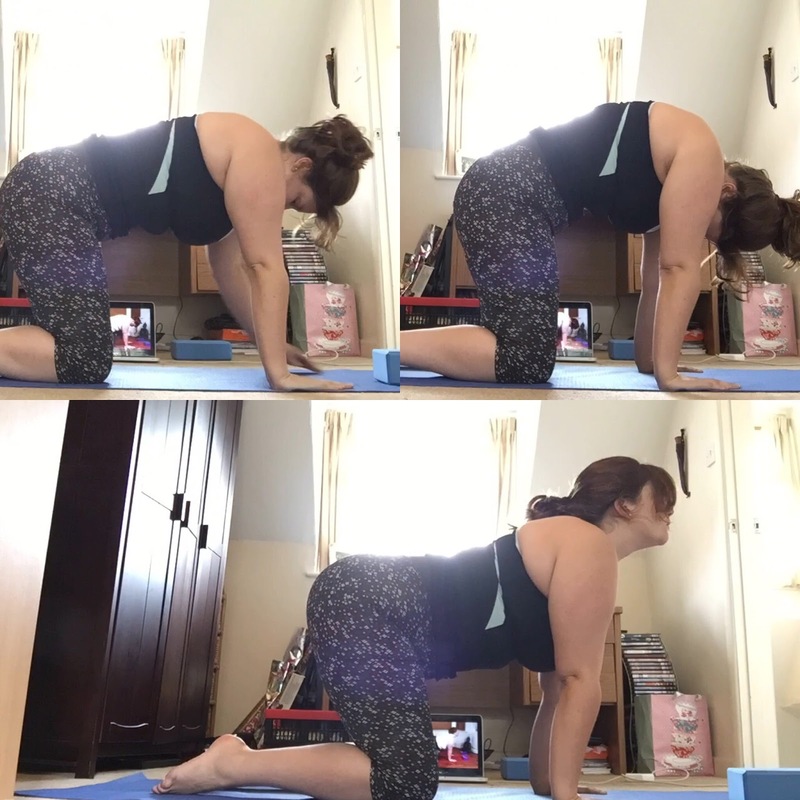 I found some poses hard, anything that involves bending backwards is difficult after constant surgeries on my lower spine region. In these cases, I don’t take the stretch as deep as recommended. I take it slow easing back slowly and stopping if there is any discomfort. Gradually, the muscle with become more flexible and I will make that pose – it will just take a little longer to get there. Stretching out afterwards really helps too and Donna does focus on the counter poses that compliment the previous pose. 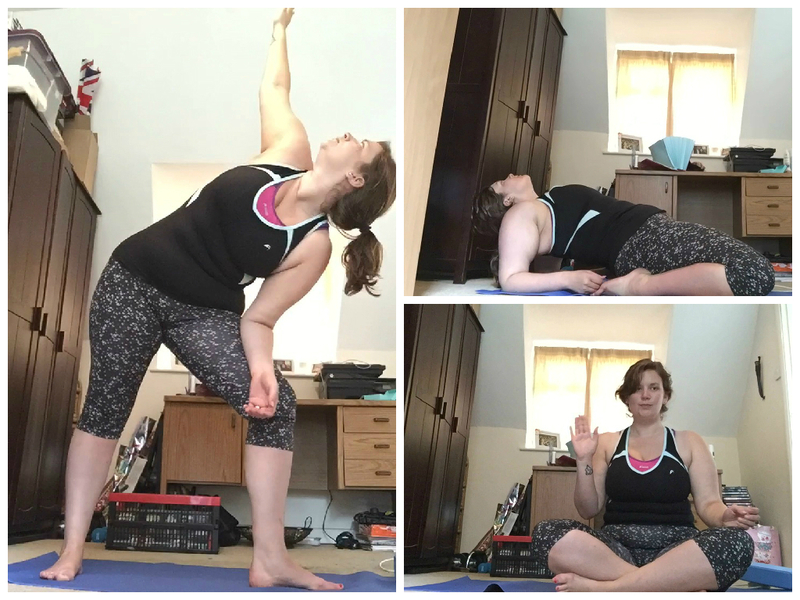 I loved my first foray into the Curvesome Yoga 30 Day Challenge and cannot wait for the next video to arrive! 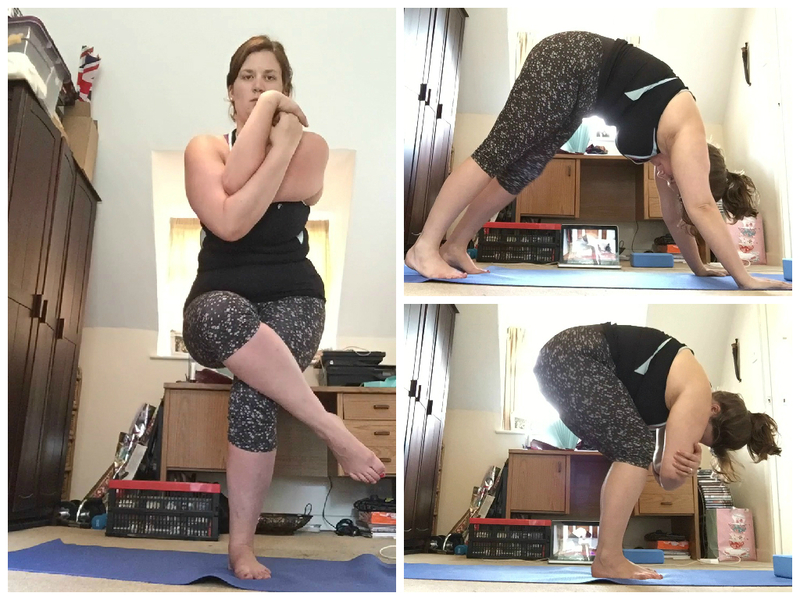 Are you doing the 30 Day Curvesome Yoga challenge? I’d love to hear how you’re finding it so far!